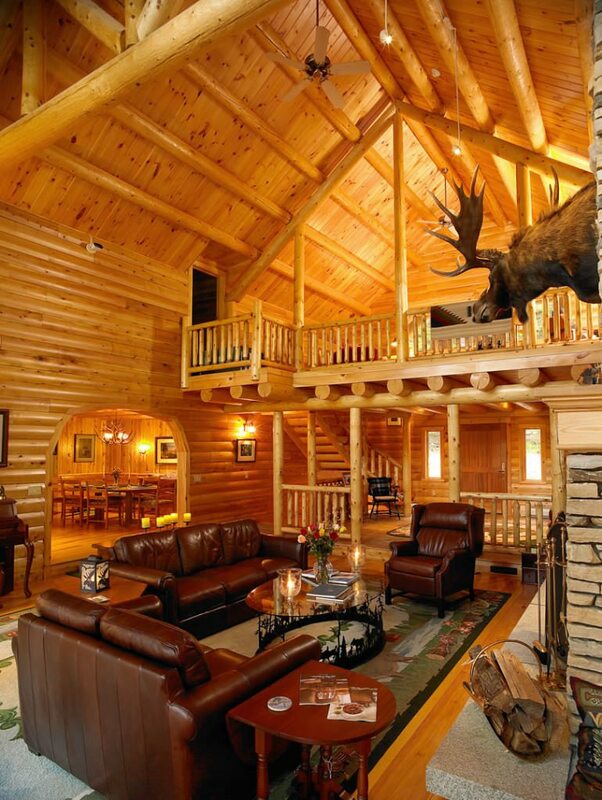 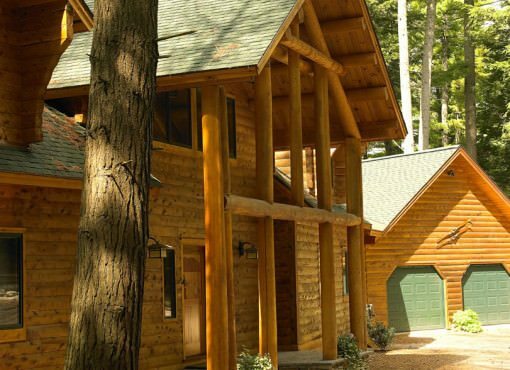 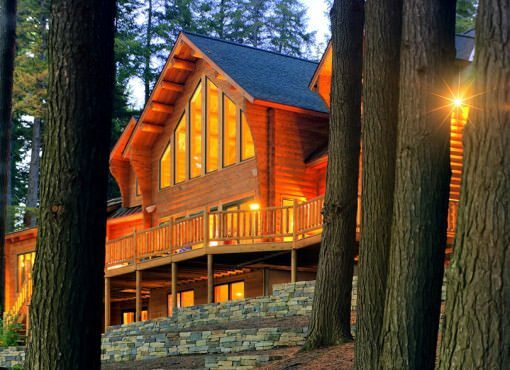 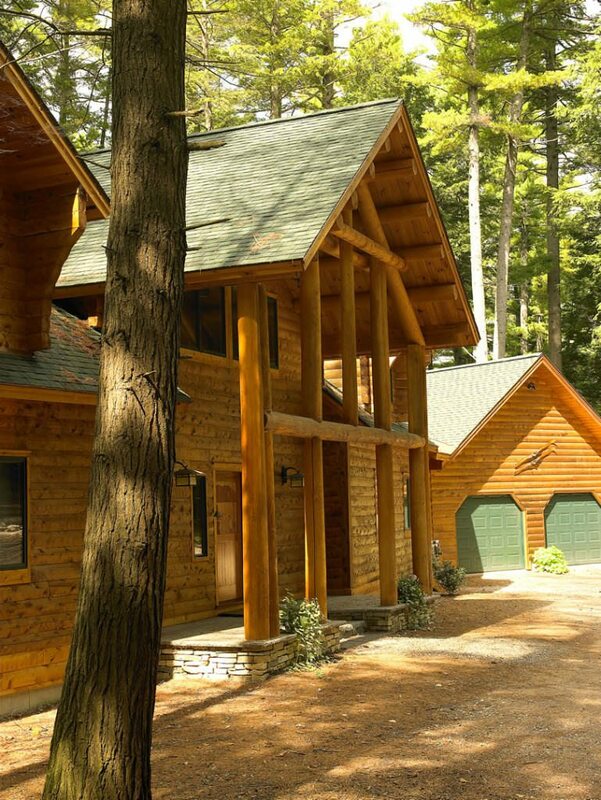 This beautiful home is located on a pristine five-acre piece of property in New England that includes a pine forest, mountains, and a lake. 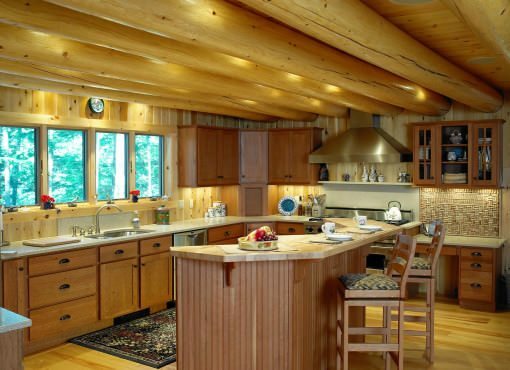 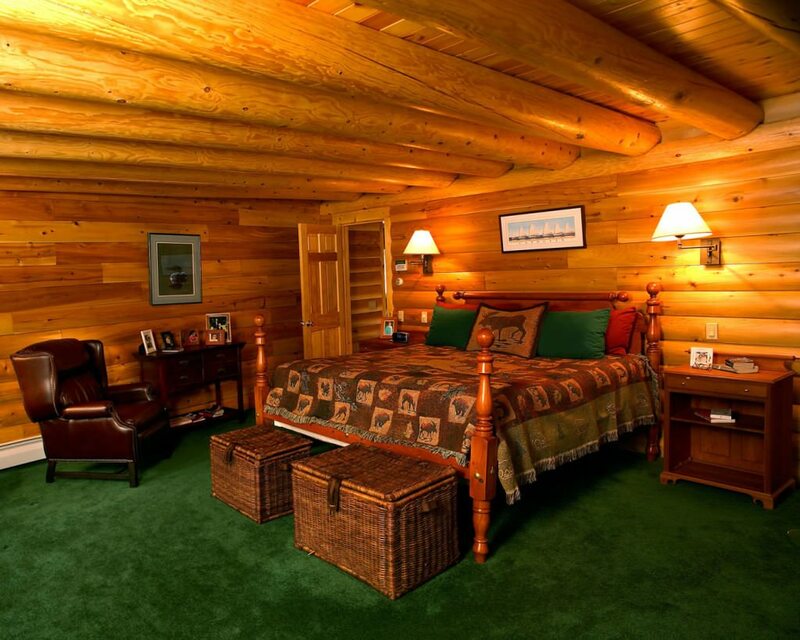 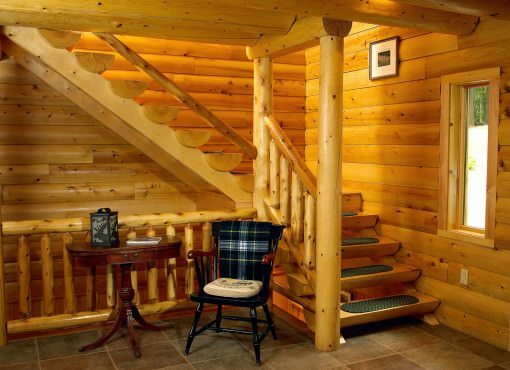 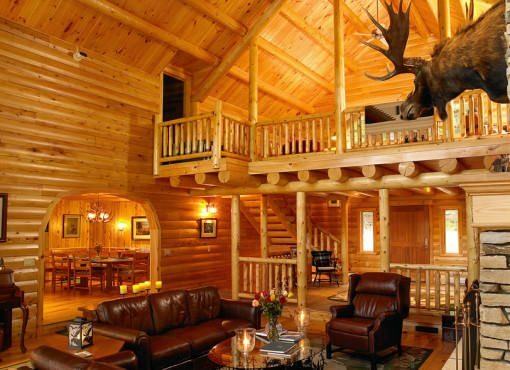 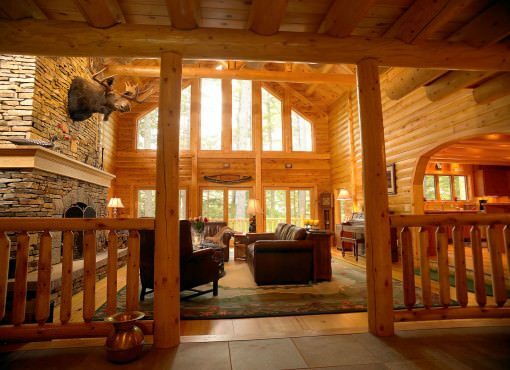 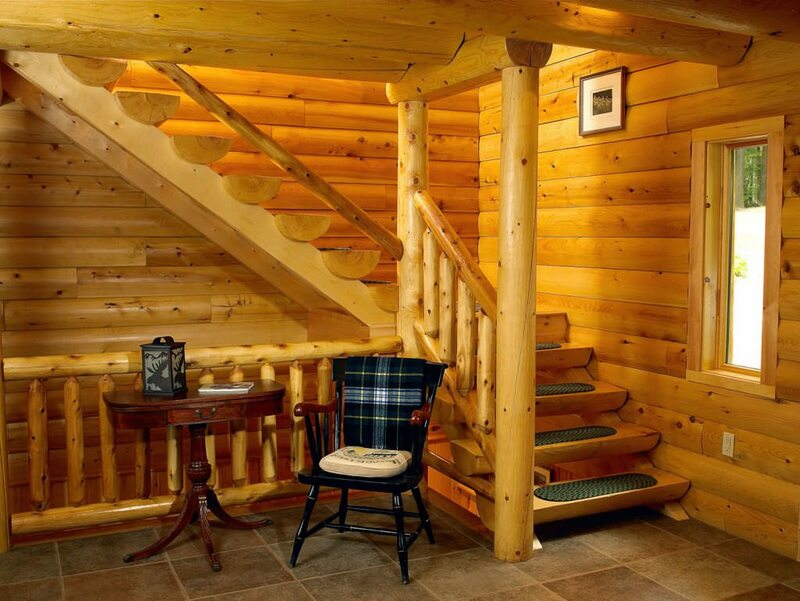 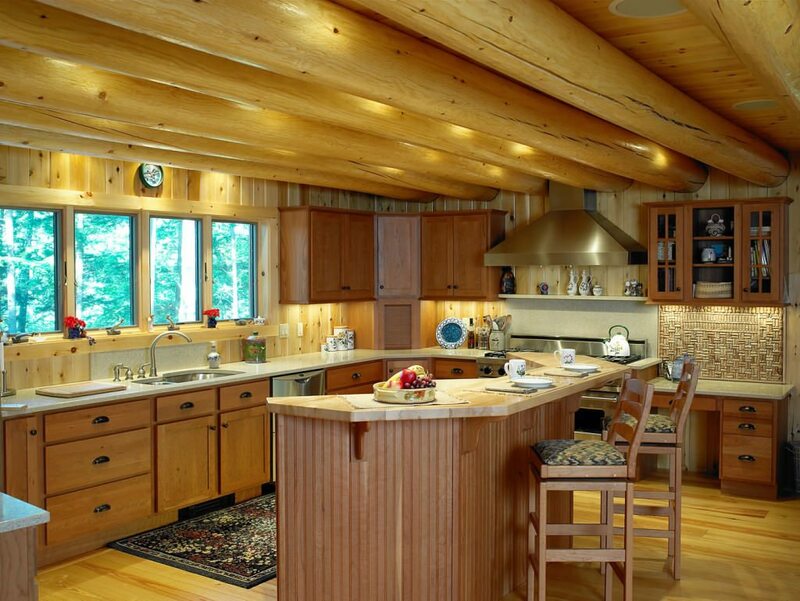 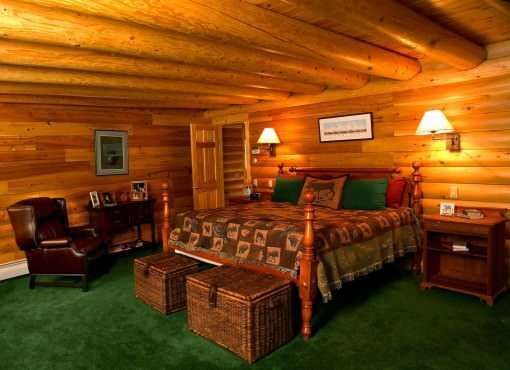 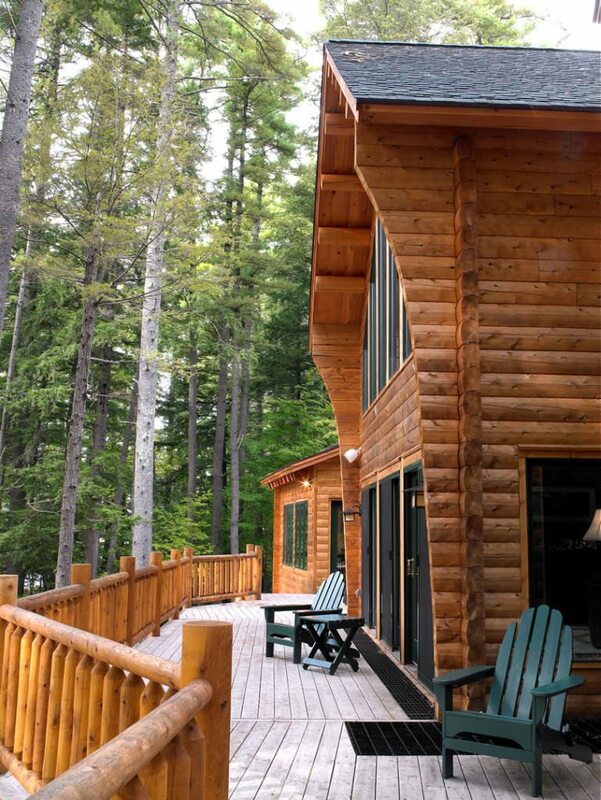 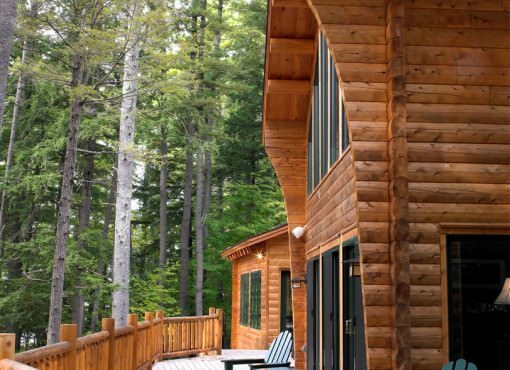 Working with the Katahdin design team and their builder, the owners came up with this 5,178 square foot cedar log kit that fits perfectly in its natural surroundings. 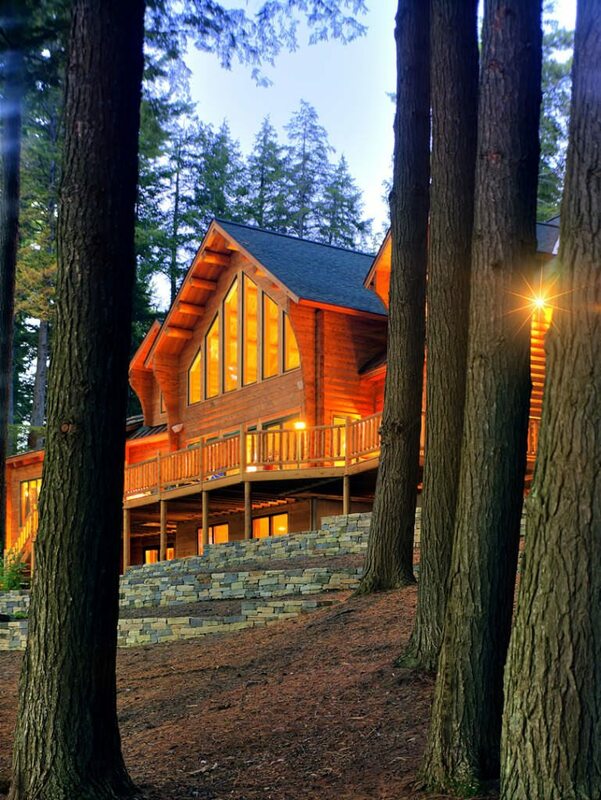 Featuring a show-stopping great room that includes a massive granite hearth, sunken sitting area with purlin structural elements, and a soaring 25-foot cathedral ceiling, the personal attention given to this home is evident in every piece of design.